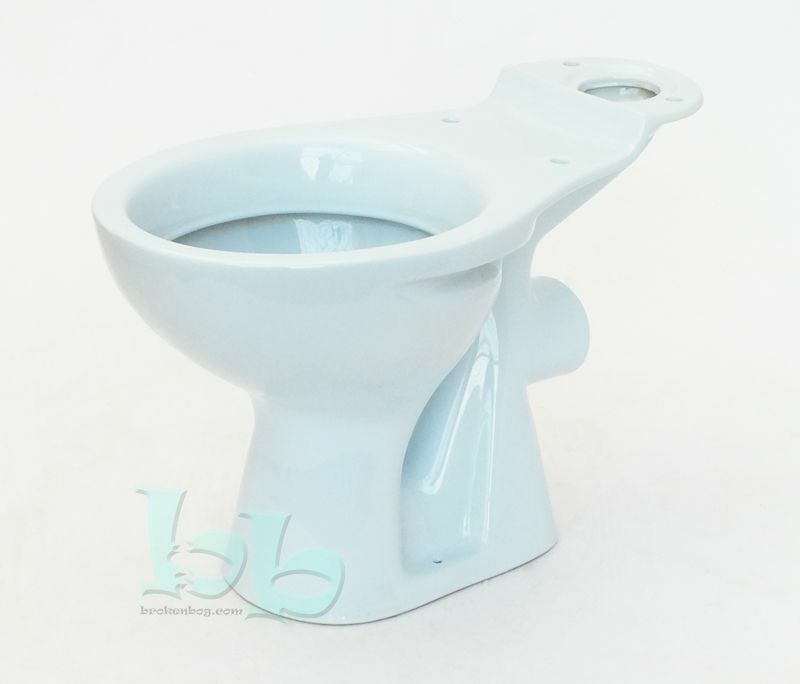 Close-coupled WC pan with horizontal waste outlet in Whisper Blue colour. Compatible with most standard UK cisterns, but do please contact us to confirm suitability for your installation. These are new, specially re-glazed vitreous china items, fully compliant with current UK water regulations. This Whisper Blue coloured WC pan makes a suitable replacement for many models of close-coupled pans from manufacturers such as Ideal Standard and Boch who produced this subtle cool bathroom colour from the 80s through to the 90s. See image for dimensions. Unbranded to blend in well with a variety of manufacturers. If this item is out of stock on the online shop, as these are made to order, please note that this pan could take 4-6 weeks from ordering to delivery and can be produced in any colour.